I know, it has taken me forever to get this up here. I'm sure you have all been waiting with bated breathe, and desperate to find out (NOT ha). 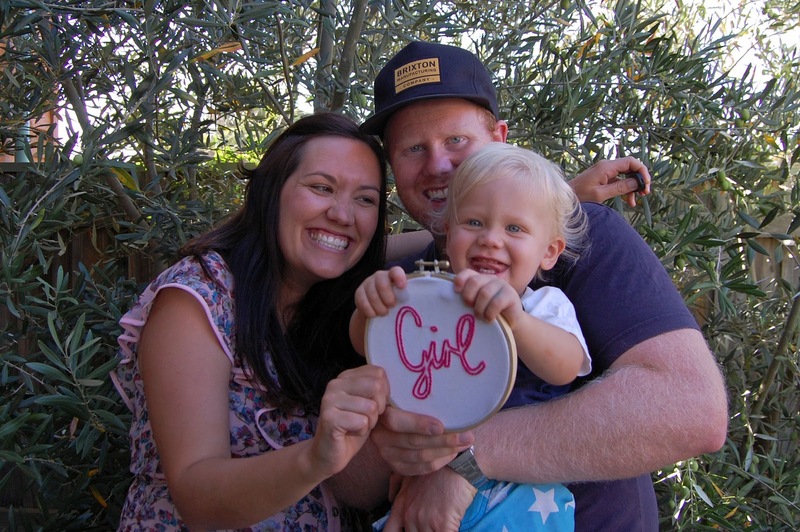 Finally, we got through to Joel's folks last night and now we are free to spill the beans on the gender of baby number two. Obviously we would have been really stoked no matter what gender baby #2 turned out to be, and we are so glad to know that everything is going as normal with baby's development and everything looks good. That is the main thing! But, having a girl is very special. 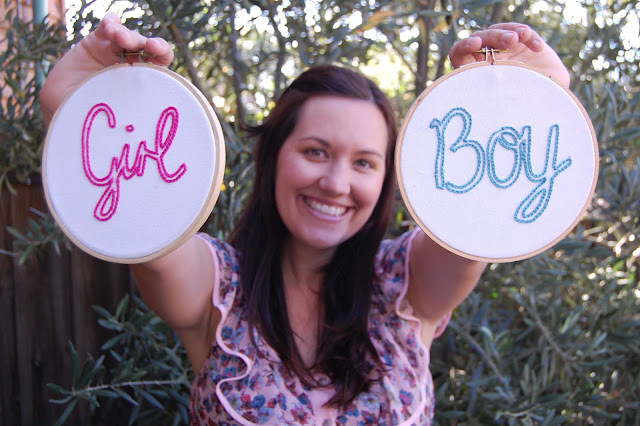 Joel is one of two sons, and I have three brothers, and their are two boy grandchildren only so far, so girls are few and far between in our families, so this is pretty exciting to everyone. It took my Mum only one day before she headed to the shops to buy a pink pair of Paul Frank baby leggings! I am really excited about dressing up my little girl, there are so many gorgeous outfits out there for girls! I used to try to dress my little brother up as a girl when I was a kid because I was so desperate to have a little sister, so finally I get my chance with the girly stuff. She will be a really lucky girl though, because she's going to have this amazing big brother to look after her as well. But she better be a tough little girl, because I'm afraid he is not going to be that gentle in the first part of her life on the outside. Here are some of our photo out takes too! By the picture below it looks like Ezra was hoping for a brother. Who knows, maybe next time, if there is a next time! 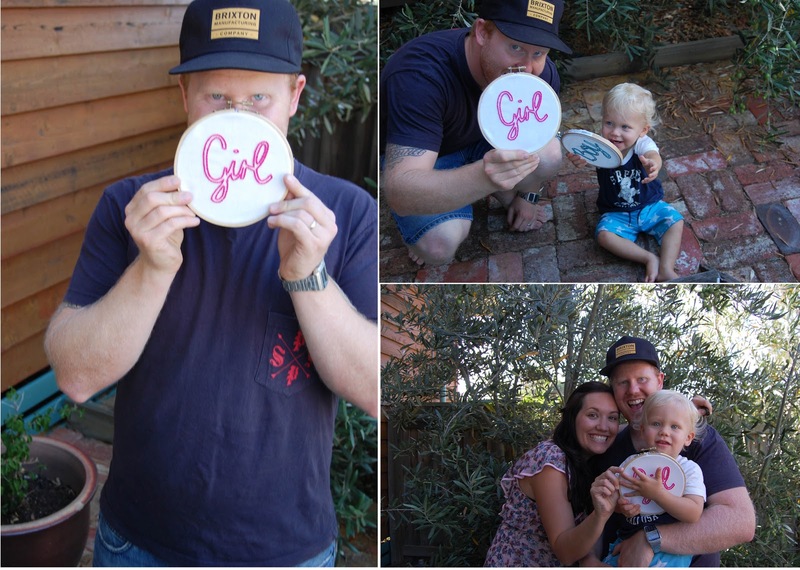 17 comments on "Girl or Boy: That is the question"
Having a girl will lovely. I am so curious about the difference between girl babies and boy babies...besides the obvious of course! And of course all the outfits! I'm hoping that this girl will be a little more laid back! I have heard that people often get a rude shock having a boy after a girl because of their energy, I'm hoping I'm nicely surprised!! I'm ready to hit the girls clothing aisles!! They always have so many more options than boys! I think so too!! Someone to protect them (hopefully)!!! Thanks!! We do our best, plus we all have rather large mouths and teeth, good for smiling haha! Excellent photos! Congratulations again. We find out next Saturday and I can't wait!